Maungdaw -- Rakhine media outlets are deliberately attempting to shift blames on the Rohingya people for the deaths of and missing Mro-Rakhine tribal men after an apparently drug-related incident in Southern Maungdaw on Thursday (Aug 3), reliable sources say. Six dead bodies of ‘Mro-Rakhine’ men were found nearby their village in the forest 5 miles to the east of the ‘Natala-Rakhine’ village called 'Kaing Gyi' on Thursday morning, while two more people were reported to have been missing since then. The news came to surface on Thursday afternoon and different media outlets are giving different times of the incident. But the exact time of the killings and the reason behind them are unknown yet. 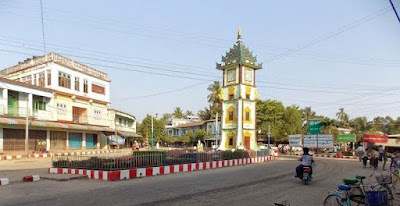 Going by the reports from the southern Maungdaw earlier, a fighting between the Mro-Rakhine tribal men and the Natala-Rakhine men would have broken out over drug-trafficking issues, which led to the killings of six people and the disappearances of two more belonging to the former group. "A month ago, there was an incident that some Mro-Rakhine tribal men robbed ‘Yaba tablets (WY)’ from the drug-trafficking gang of 'Kaing Gyi' village, while they were smuggling them across the mountain valleys. The Mro-Rakhine men refused to return the bags of Yaba tablets to the Natala-Rakhine despite the repeated demands by the latter. “The tension between the two Rakhine groups has mounted since then because of that. 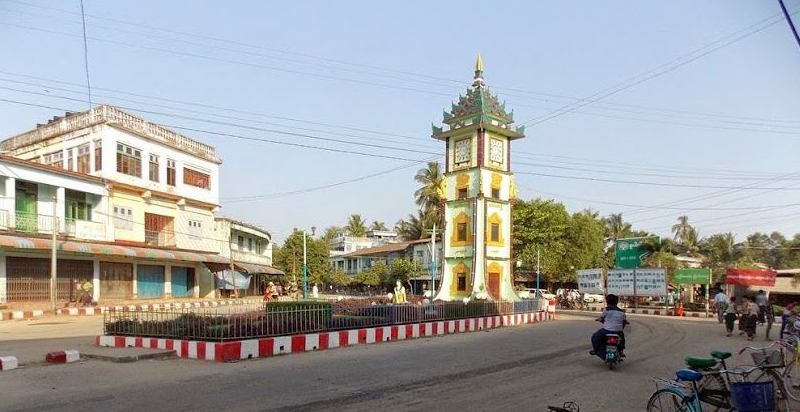 Therefore, the Natala Rakhine gang who proudly call themselves to be members of the 969 Gang could have attacked them, killed six and abducted other two,” said Ko Myint Naing, a member of a Maungdaw-based Human Rights Observer and Research Group. The ‘Myanmar State Counselor Information Committee’ reported that the armed forces acted and started clearance operation in the areas nearby the Mro-Rakhine village upon hearing gun-shots at around 10am. It followed up with reports that there were wounds, cuts and bruises found the bodies of the deceased contradicting its very own statement ‘upon hearing gun-shots’ made earlier. Without mentioning names or details of the perpetrators, it stated that they were extremist terrorists behind the killings indirectly attempting to shift blames on the Rohingya people. U Khaing Mrat Kyaw -- a Rakhine extremist media man, a BBC Burmese reporter and editor in-chief of Narinjara Media – quoting a local Rakhine man named U Sein Hla Aung wrote that the Evil Kular Terrorists (indicating the Rohingya people) shot them to death at around 8:00am without providing evidences. Looking at the conflicting reports regarding the Time of the incident and the attempts to shift the blame on the Rohingya people by the Rakhine media and the State Counselor Information Committee, it is pretty clear that the media are attempting to play ‘Diversion of Attention’ and trigger violence against the Rohingya people, the already victims of apartheid and genocide, out of a fight that could have taken place between two different Rakhine sub-groups (i.e. Mro-Rakhine and Natala-Rakhine) themselves.